Steven King concludes this volume with his investigation of memoirs and memorials. While these are not autobiographies, they are an important source containing a range of personal reflection and even personal histories which can be used to observe the ways in which families were a fluid entity with porous borders. He argues that they convey a broad message and sentiment that is lacking from the census data and more conventional understandings of the nuclear family. 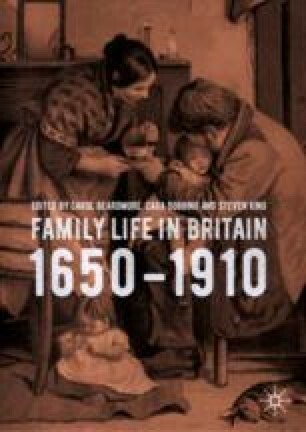 The perspectives and patterns that can be drawn here bolster more recent contributions to the historiography and demonstrate the porosity of household boundaries, structural fluidity and fictive kinship. King argues that the frequency with which girls and women rotated is striking but these new sources reveal that the fluidity of families was considerably more common that has previously been expected or anticipated.